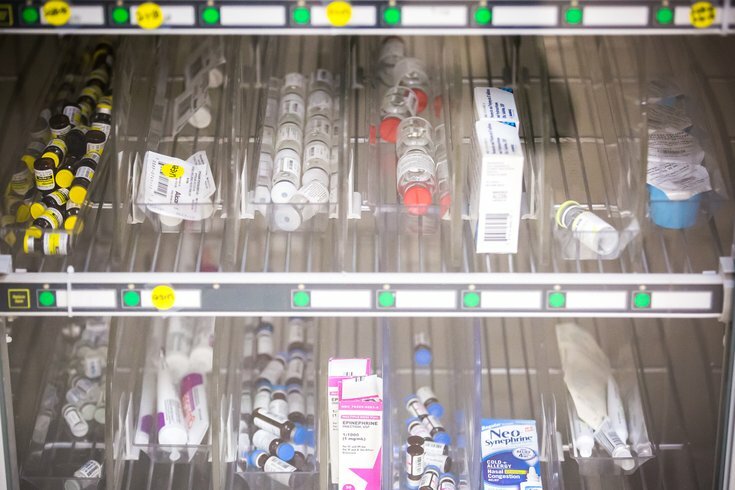 Medication in the Emergency Department of a hospital. As the opioid epidemic pervades public health throughout the U.S., leading to more than 1,900 deaths over one year in New Jersey alone, lawmakers in the Garden State are continuing attempts to curb the rate of addiction. A bill currently working through New Jersey legislature would require strict warning labels for all prescriptions of opioids throughout the state, becoming the first state in the country to do so. Atlantic County Assemblyman John Armato, who co-sponsored the bill, told KYW that though drug labeling is organized on the federal level, states can add their own additional labels and warnings. Armato argues the bill would help clarify what drugs fall under the opiate category. The label would also specify that the medication can become addictive and lead to overdose. Last year former New Jersey Governor Chris Christie made some strides in combating the opioid crisis, implementing insurance mandates for addiction services for people under state-regulated health care plans. In 2017 New Jersey also began work on an opioid recovery pilot program for adults on Medicaid or who aren’t insured, as well as a program to help link addicts to recovery programs. According to NJTV, New Jersey’s rate of heroin overdose is three times the national average.